Dr. Kathleen A. Horvath, Associate Professor of String Education and Pedagogy joined the Case faculty in 2001. Her duties on campus include teaching undergraduate and graduate level courses in music education, string pedagogy, supervising student teachers, directing the Case/University Circle Symphony Orchestra, and the Case Camerata Chamber Orchestra. She holds a Bachelor of Music from the Eastman School of Music (Double Bass), a Master of Arts in Performance and String Pedagogy and Doctor of Philosophy in Music Education from The Ohio State University. Her research is primarily focused on the prevention of performance related injuries through correct positioning of the body and the accompanying teaching methodology that facilitates accurate development. This methodology fosters efficient performance technique through muscle memory and movement activities with special emphasis placed on the adolescent child. Her recent publications include articles and reviews in Music Educators Journal, Triad, Scroll, Bass World, American String Teacher, Council of Research in Music Education, and the Southeastern Journal of Music Education. In the summer of 1998 she coordinated and directed the Paul Rolland String Pedagogy Symposium at the University of Illinois and compiled, edited, and authored “The Legacy of His Work: the Paul Rolland String Pedagogy Symposium”. In addition, she has authored several sections in books that specifically deal with string education issues and include Teaching Music Through Performance in Orchestra, the String Syllabus, Applications of Research to String Education, and Strategies for Teaching Strings and Orchestra, a MENC publication. Her most recent book project with Robert McCashin, Brenda Mitchell and Joanne Erwin yielded a two volume string class method book entitled New Directions for Strings which is published by FJH Music. In demand as a clinician, Horvath has presented for ASTA with NSOA Conferences such as the Eastman Symposium and Teaching Teachers: Two Side-by-Side Conferences and has presented at the Midwest Clinic; All Eastern MENC Conference; New York State School Music Association Winter Conference; Ohio Music Educators Conference; Georgia Music Educators Association; Alaska Music Educators Conference; and National Biennial Conferences in Kansas City and Nashville. Most recently presented a seminar on the pedagogy of Paul Rolland at the Universidad de Alcala, Aula de Musica in Madrid, Spain. She has been Artist Faculty at the National String Workshop and the American School of Double Bass since 1999. She has also served as visiting faculty at the South Carolina String Teacher Conference and the New York State ASTA with NSOA Summer String Conference. 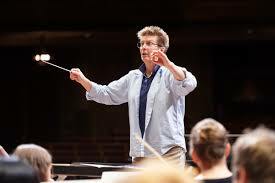 As a conductor Dr. Horvath has conducted festivals in North Carolina, Arkansas, Alaska, Pennsylvania, Illinois, New York, New Jersey, Massachusetts, Rhode Island, Ohio, Georgia, and Montana. As an orchestral performer and recitalist on the Double Bass she has appeared with the symphonies of Wheeling (WV), Plymouth and New Bedford (MA), the ProMusica Chamber Orchestra of Columbus, Ohio and was a featured soloist at the 1996 Festival of Women Composers International. While in Illinois she was principal double bassist of the Champaign-Urbana Symphony, Opera Illinois, and the baroque Artists of Champaign-Urbana. Currently she performs with chamber groups around greater Cleveland. Dr. Horvath has over seven years of public school string teaching experience in the states of New York, Massachusetts, Ohio, and Georgia. She has served on the faculties of Southeastern Massachusetts University, Ashland University, University of Illinois, and The Eastman School of Music. Active in her profession, she maintains membership in the Ohio Music Education Association, Ohio String Teachers Association, American String Teachers with the National School Orchestra Association, and Music Educators National Conference.